Making the most of precious photos is a great way to provide unique gifts and treasured family memories. Local Mums recommend the best printing companies here. 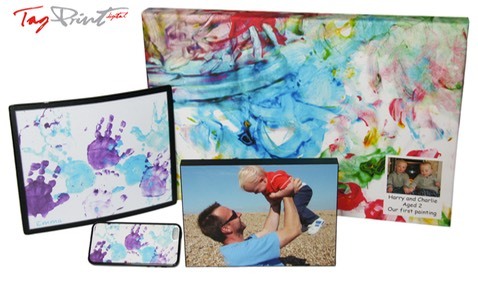 "I highly recommend TagPrint Digital�to all Local Mums.�Tagprint recently produced brilliant reproductions onto canvas of two photographs of mine. Mike was concerned regarding one of them as the photo was quite dark. �Before going ahead with the canvas Mike produced a sampler for me to look at and decide whether to proceed I was extremely pleased with this service. Tagprint are very professional, they provide a great service and produce high quality reproductiions. I will definately be using them again and would not hesitate to recommend them to friends and family." 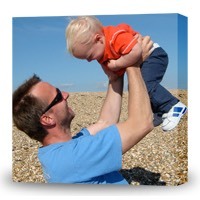 "I highly recommend�TagPrint Digital�to Local Mums.�Tagprint has produced some wonderful reproductions of family photos on to canvas for me. Some of the originals were even taken with a mobile phone, yet they have managed to reproduce them as if they were taken by a proper digital camera. They produced a wonderful collage of the children from a selection of photos I supplied. Again those photos were a mixture of SLR, Pocket camera and Mobile phone.�A friend of mine had a beautiful coastal scene picture, taken while on holiday in Hawaii, transferred to a canvas and mounted on a frame. It now hangs on his lounge wall in a prominent place.Their service is friendly and personal so I would therefore recommend Tagprint to anyone who needs a canvas of a picture or pictures just sitting in the camera awaiting to be displayed in all it's glory." Quality, reliability and value for money are what we all want from any product or service offered, and we know we can provide this for you. Canvas Printing - Send us your photo or picture and we will turn it into a striking piece of wall art for you. Instant Canvas Printing - Come and meet us at one of our many events and we will print while you wait. School Canvas Printing - Being an independent company means we can provide you with a fantastic product, but also give something back by contributing 10% of your net order value back to your child's school. So you get a great Canvas, and support your school at the same time. E-cards - The easy way to reach all of you contacts, but with a personal touch. We include your logo, signatures and a contribution to a charity of your choice!